Cinnamon is basically the dried bark of the cinnamon tree branches and commonly used as a spice. Well known authoritative spice to mankind since ancient times. In the beginning cinnamon has been available only to kings and emperors. It is put up for sale in the form of a hammer, in the form of a rolled-up pieces of bark. Cinnamon contains 261 kcal per 100 grams Calories. Cinnamon contains 1-2% of essential oils and tannins and resin. Cinnamon spice is made from the bark of the tree, which is collected during the rainy season from May to October, when the bark is easily removed from the tree. It is sold in the form of sticks. Cinnamon powder is light brown in color with a soft, warm, sweet scent. The taste of her sweet, warming, slightly burning. Different ways of cinnamon use in the different countries, In the east, it is flavored with meat. In European countries cinnamon is most often used for baking, along with citrus and vanilla flavors. Cinnamon is traditionally drunk after birth, good for uterine contractions and improves the flow of breast milk. The oil of cinnamon is used for the preparation of ointments-irritant. It helps to lose weight and should be eaten with honey. It is necessary to mix it with him in a ratio of 1:4. Use daily before breakfast, lunch and dinner every day for a month. 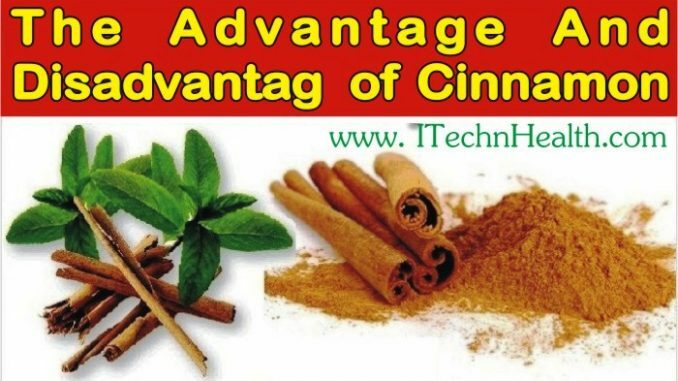 Cinnamon is used for desserts, chocolate, apple dishes. Very popular as a seasoning for dishes from cereals and fruits. Cinnamon helps to improve the digestive process and improves appetite, a good tonic and antiseptic. Most useful tools for depression, its aroma invigorates and improves mood. Mixer of Cinnamon and honey is a great tool for weight loss, reduces the feeling of hunger. Cinnamon is useful for diabetics as normalize blood sugar levels, moreover, helps the body to better respond to insulin. The researchers concluded that cinnamon stimulates cognitive function and improves memory. Use of cinnamon for canning, especially pickles. Cinnamon dietary fiber and calcium help to prevent the development of colon cancer, also contribute to the prevention of constipation and diarrhea. It has antibacterial properties, so it is a good drug of the common cold and flu. Cinnamon is not recommended for pregnant women, It is dangerous and cause of miscarriage. All spices are used to improve the taste of food in small quantities, then they expressed no harm. But sometimes people use spices or to believe their medicine and is used as a medical tool in large doses. Always remember cinnamon should be consumed only in the food and in small quantities. The fact is that in its pure form it is, like most herbs, can irritate the stomach wall. For this reason, extreme caution must be people with gastric ulcer and gastritis. Heart and high blood pressure patients should limit the amount of cinnamon in dishes, because the spice significantly increases the heart rate. Those people who are sick kidneys and liver, they spice not only does not help, but harm.